Six days before His crucifixion and burial, Jesus was prepared for His burial by the most unlikely of people. This story takes place in Bethany, where Jesus spends a lot of time during His earthly ministry. As was customary, the most influential men in the village would try to entice visiting guests to join them for dinner. 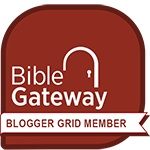 Simon—a Pharisee and a former leper—was the one who extended the invitation to Jesus. Simon is a former leper because one who still had active leprosy wouldn’t have been allowed in his own home, let alone allowed to host guests. I think (as you will see in a moment) that Simon had been healed of his leprosy by Jesus. Although it was customary for someone like Simon to host visiting guests, in this case, the religious leaders were scheming to arrest Jesus. In other words, there was an ulterior motive for Simon to have Jesus in his home. Which is probably why Simon neglected his host’s duties: No welcoming kiss, no foot-washing, no anointing. All normal hospitality is ignored. Jesus appears to ignore the snub and simply recline at the table. But another guest takes Simon’s incredible rudeness personally. Mary is overcome by emotion at the inhospitable—rude!—way Jesus is being treated and tears began to well up in her eyes. Since Jesus is reclining at the table, His feet would have been pointed in her direction, and she began to use her tears to wash His feet. Then—horror of horrors—she uncovers and lets down her hair in public(!) and begins to dry His feet. Simon the Pharisee judges Mary by her past. Simon twice says, “Does Jesus even know what kind of woman she is? Does He know she is a sinner?” Mary is in big trouble: she is publicly pointing out the rudeness of the host, she is touching a man that is not her husband, and she has uncovered and let down her hair in public. Jesus responds not to Mary, but to Simon: “Simon, I have something to tell you,” He says and then shares a short but powerful parable of a creditor who had two debtors. One owed him the equivalent of a year-and-a-half’s wages, and the other owed about two months’ wages. Since neither could pay, the creditor forgave both of them. Jesus took the anger that was focused on Mary and redirected it to Himself, as Isaiah prophesied the Messiah would do (see 53:4-5). Mary was forgiven. She gave all she had in worship. Her anointing oil was lavishly poured out. It was worth a year’s wages, but she spent it all on Jesus. She anointed Him for His burial. The aroma of the oil remained on Jesus throughout His Passion Week and through His crucifixion. The aroma remained on Mary’s hands and hair. The aroma remained in Simon’s house. The memory was fixed in the memories of everyone in that room. What about Simon? Did he ever acknowledge his gratitude? 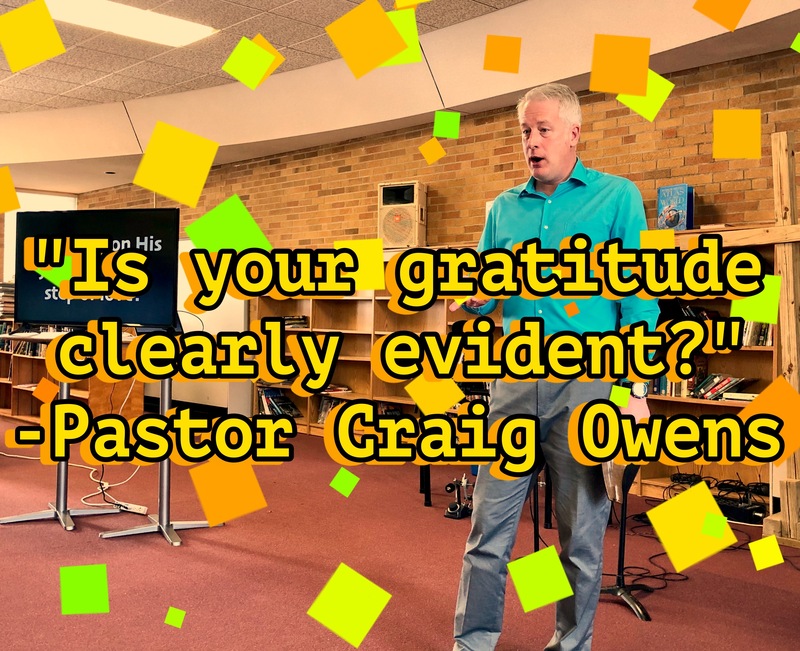 Or was he more concerned with receiving praise from men? Have you received the forgiveness Jesus offers you? Can people tell you’ve been forgiven by your willingness to stand up for Him? Can people tell you’ve been forgiven by your willingness to give up everything for Him? I hope you can join me this Sunday as we continue of slow, deliberate walk alongside Jesus on His passionate journey to the Cross and the resurrection. When Joseph woke up, he did what the angel of the Lord had commanded him… (Matthew 1:24). I was reading an article posted on WebMD about how much damage we can do to our hearts by spending more time in front of the TV or computer than we do exercising. You’re probably thinking, “Well, duh! isn’t that obvious? !” It should be, and yet all of us still have a natural tendency to just sit there. 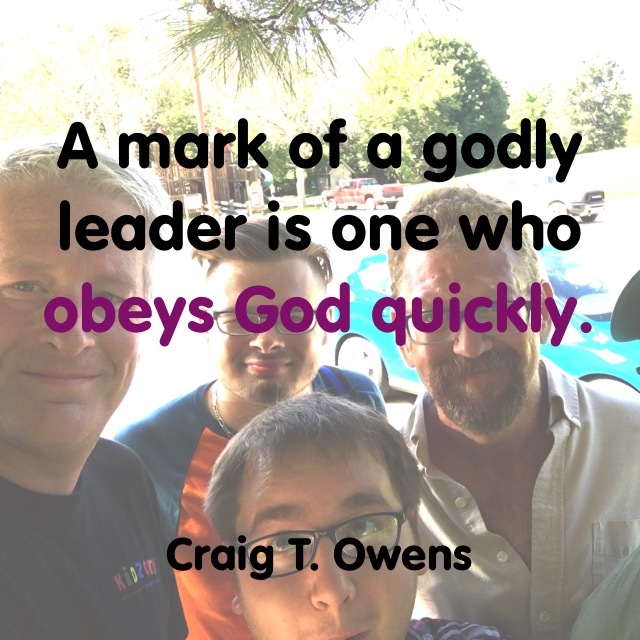 A mark of a godly leader is one who obeys God quickly. I’m convinced that if Joseph had not obeyed the first God-given vision, he wouldn’t have been given anymore. Has God given you a vision for your life? If so, just sitting there may do damage to your heart and limit any other visions from God. So follow Joseph’s example and get up and get moving! This is part 32 in my series on godly leadership. You can check out all of my posts in this series by clicking here. Poetry Saturday—What Do You Have? All were used of God. What do you have? —Max Lucado, in You! In writing his account of the birth of Jesus, Luke is captured with the idea of God’s favor. Luke uses the word favor more than any of the other gospel writers, and he uses the word quite frequently as he relates the events leading up to the birth of Jesus. During his narrative we meet two women—Elizabeth and Mary. Here are five lessons we can learn from these two mothers. (1) “Favor” is not the same thing as “favorite.” To say, “I am the one on whom God’s favor rests” is not the same as saying, “I am God’s favorite.” Elizabeth recognized God’s favor on both herself and on Mary (Luke 1:25 & 43), and Mary also recognized God’s favor on herself (Luke 1:28, 30, 48-49). But nowhere did these women think they were God’s favorites. God has no favorites, but instead He showers His abundant, never-ending favor on everyone! (2) “Favor” probably didn’t look like what they would have planned for themselves. Elizabeth didn’t get pregnant until the age when she should have been a grandmother, and Mary got pregnant before she was even married. I’m sure neither of them thought their lives would go this way! But God knew what He was doing all along (see Isaiah 45:7-9; Psalm 139:16). (3) They needed humility, obedience, and perseverance to remain in the place where they could recognize God’s favor. No one can stop God’s favor, but the devil would love to keep you from recognizing God’s favor. One way satan does this is by trying to get us to appeal to our pride (“I think I can do this better”) because then obedience to God and perseverance through the trying times is very difficult to maintain. (5) God’s favor doesn’t necessarily answer all our questions. 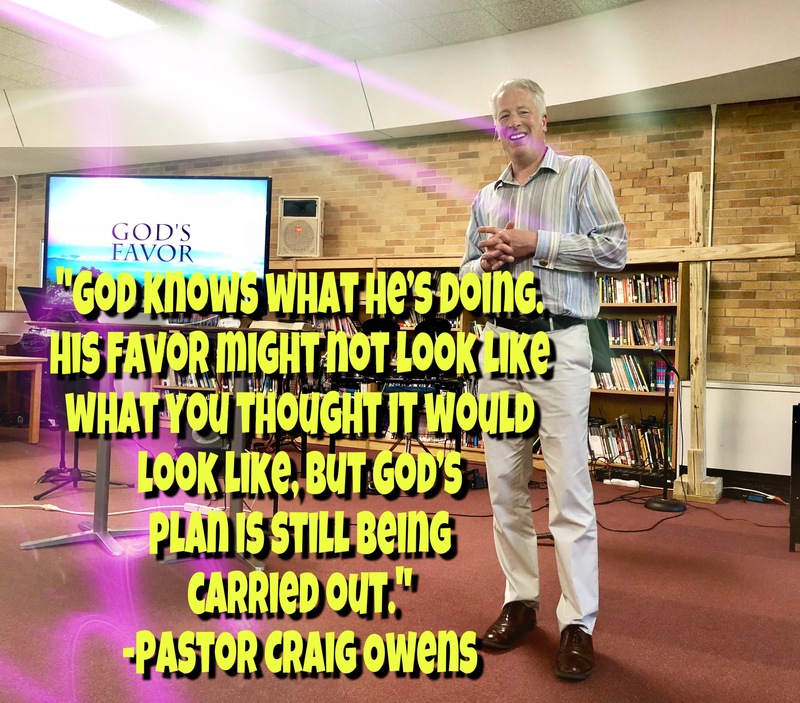 Even though God’s favor places us in the right place, at the right time, with the right skills, we will still undoubtedly have questions about why God is doing what He’s doing. If you feel that way, you’re not alone—Hebrews 11 is full of people who felt the same way. But hang in there and keep trusting God: He knows what He’s doing! 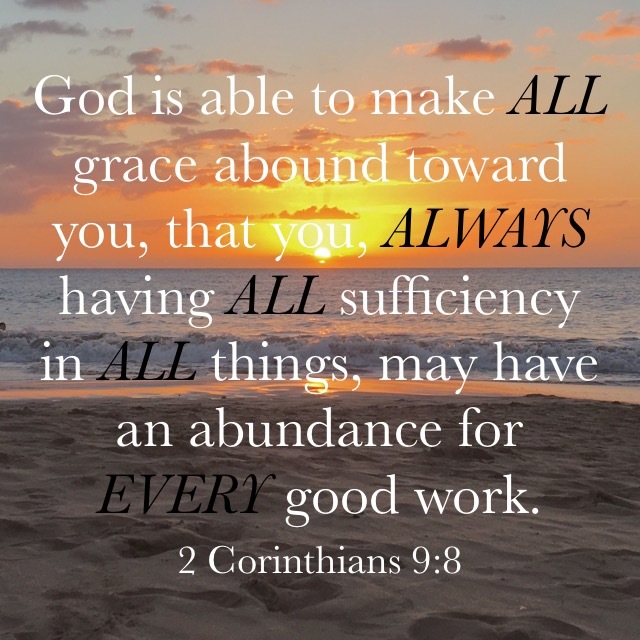 In the meantime remember this: God is able to make ALL grace abound toward you, that you, ALWAYS having ALL sufficiency in ALL things, may have an abundance for EVERY good work (2 Corinthians 9:8). Check out this video of the full message I shared on these lessons from the life of Elizabeth and Mary. Join me this Sunday as we continue looking at God’s favor. You can join me either in person or on Facebook Live. God had been showing us His love throughout the Old Testament period, but the Advent of Jesus made it abundantly and unmistakably clear that God is for us! John (the one who would announce the arrival of Jesus) means Jehovah is a gracious Giver. Elizabeth (John’s mother) said that God had not only shown His favor to her by making her pregnant, but she also said God had removed her disgrace. Jesus, in His first public sermon, quoted Isaiah’s words, saying He had come to proclaim God’s favor. 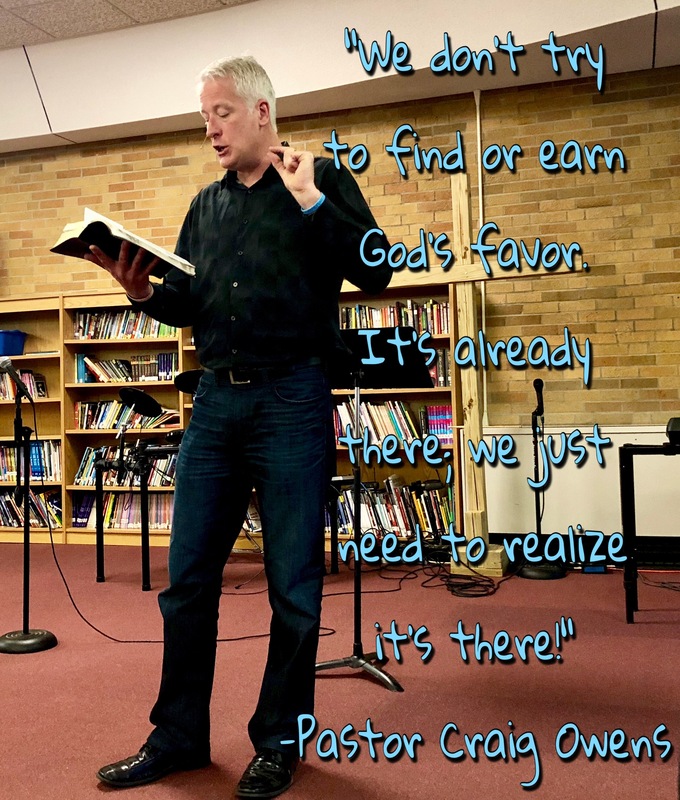 But please notice this truth—We don’t try to find or earn God’s favor. It’s already there; we just need to realize it’s there! The angel said to Mary, “You are HIGHLY FAVORED” (Luke 1:28). 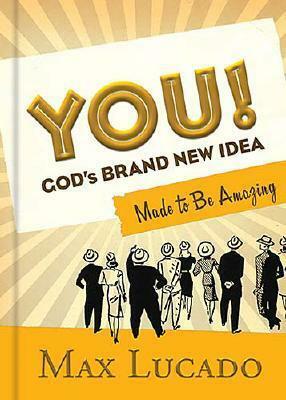 God uses the same word when He says to us: God made us ACCEPTED in the Beloved (Ephesians 1:6). How can this be?? Because on the Cross, Jesus switched places with us. He took all our sin and DISgrace, and gave us all of His righteousness. Now when God the Father looks at us, all He sees is the righteousness of His Son. Now all praise to God for His wonderful kindness to us and His favor that He has poured out upon us because we belong to His dearly loved Son (TLB). God’s grace is undiminished. It is as full today as it ever has been. God could never love you more than He already does. God could never love you less because of anything you do. Keep your eyes on Him and you will find just how much favor He has for you! Join me this Sunday either in person or on Facebook Live as we continue to learn more about God’s favor. Five Women; One Amazing Story! For some of you, it’s hard to put the word “happy” in front of Mother’s Day. One definition of happy is “favored by fortune; lucky.” In other words, we’re happy IF things happen to be going our way. But we don’t know how things are going to turn out? In the last Super Bowl, the New England Patriots were down by 25 points early in the 3rd quarter. It didn’t appear that things were going the Patriots’ way … except they won! 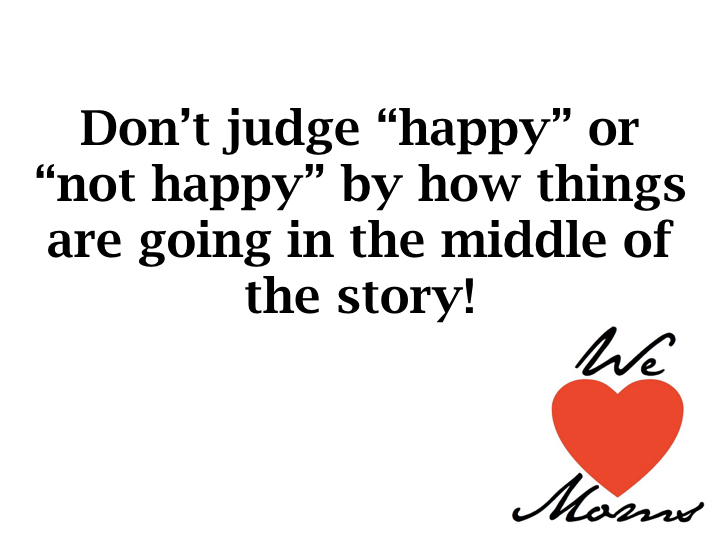 So don’t judge “happy” or “not happy” by how things are going in the middle of the story! To God, all of History is His Story. He knows every move, every hurt, every fumble, every betrayal, every noble deed, every evil deed … nothing escapes His notice. And it all fits into His Story—We are assured and know that God being a partner in their labor ALL THINGS work together and are fitting into a plan for good… (Romans 8:28). Tamar had to pretend to be a prostitute in order to get her father-in-law to followthrough on his commitment. As a result, she became pregnant by him and was almost burned at the stake. Rahab didn’t pretend to be a prostitute; she was a prostitute. She lived in an important city that was about to be defeated by the Israelites. Instead of trying to make things easier on herself, she trusted God and put herself in a very dangerous position. Ruth was a non-Israelite married to an Israelite man. But when her husband, her brother-in-law, and her father-in-law all died, she took a huge risk in staying with her mother-in-law. She could have moved in with her family in a country she knew, but she went where she was an alien, a widow, and dirt poor. Bathsheba was married to Uriah, who was a member of the king’s inner circle. But the king took advantage of her when Uriah was away at war, impregnated her, killed her husband, and then married her. Their son from that union died shortly after being born, but Bathsheba trusted God to make something good of her tragedy. Mary was engaged to be married when she was found to be pregnant. Society could have shunned her, her fiancé could have had her killed for her unfaithfulness, but she trusted God to keep His word. God used all of these women. Despite the way they were treated or mistreated; despite their own mistakes; despite the injustices committed against them. God used all of them as irreplaceable parts of His Story. To God, all of History is His Story! He’s doing things through your life that you can’t possibly imagine. Trust Him—if you do, your name will also be recorded in the best “His Story” ever recorded! 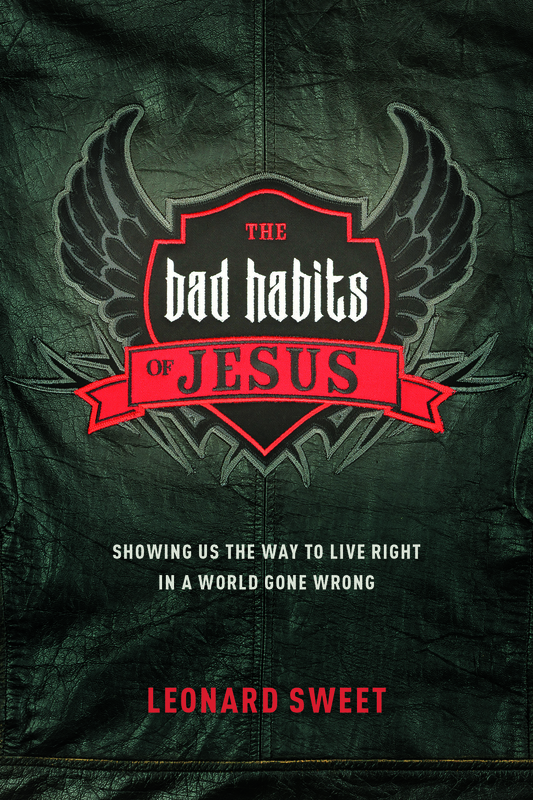 Leonard Sweet explores how revolutionary Jesus Christ’s public ministry was in his outstanding book The Bad Habits Of Jesus. Check out my book review by clicking here, and then enjoy some of these quotes I especially liked. I will be sharing more quotes from this book soon. If you would like to be notified as soon as these quotes are posted, simply enter your email address in the box in the right column and click “Sign me up!” You can also follow me on Twitter and Tumblr where I share inspiring and thoughtful quotes ever day.